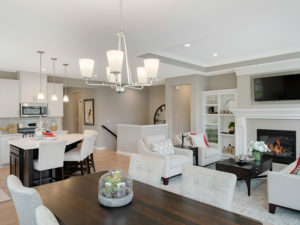 The Spring Parade of Homes is right around the corner! March 2 through March 31 visit these three amazing homes and more. This Wooddale Builders luxury Cape Cod masterpiece is located in Deer Hill Preserve in Medina, MN. At over 6,300 sq. ft., this property boasts an open foyer with two-story shiplap walls, an open staircase, and handmade crystal light fixtures. White oak, wire-brushed floors with in-floor heating in the master and lower level run throughout the house. 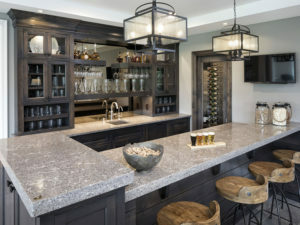 If you’re the chef of the family, you’ll be in awe of the expansive kitchen with a 50-square-foot center island and prep kitchen. After dinner, stay active with a private exercise facility that includes a sport court and steam shower. Sitting on 1.82 acres of extensive landscaping, this gorgeous home features a fire pit and stone patios in the front and rear of the home, along with a massive summer porch with a two-story stone fireplace, reclaimed wood beams, and surrounding power screens. The Deer Hill Preserve neighborhood is surrounded by whimsical old maple-basswood woodlands and a tamarack bog with western views across Baker Park for miles. The neighborhood’s dedication to conservation provides the perfect balance of nature and community. Located in Lakeville, MN, overlooking a natural wetland, this custom-built townhome has many remarkable features. With a two-level open floor plan, you’ll get a cozy cottage atmosphere without feeling cramped. The main level includes a gourmet kitchen with a walk-in pantry, the master bedroom suite, and laundry. The walkout lower level features a family room plus two additional bedrooms, as well as a generous storage space. Other features include wood floors, quartz kitchen countertops, a gas fireplace, and Trex decking. 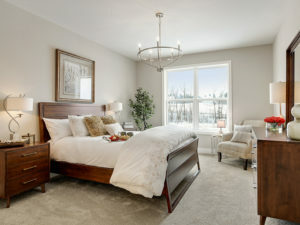 This townhome development is association-maintained and the perfect place for young professionals or a growing family. Looking for the newest luxury townhome in the Twin Cities? Look no further than this 2019 three-bedroom, three bathroom in Elm Creek Meadows, located in Plymouth, MN. This Kenwood floor plan includes a gourmet kitchen with granite countertops and stainless steel appliances, along with a four-season porch, and a master suite located on the main level. Conveniently located within minutes of shops, restaurants, and parks, this brand-new townhome is an impeccable location to retreat to at the end of the day while staying up to date on social and community events. Tour all of these beautiful homes during the Spring Parade of Homes (3/2-3/31). For additional information about these homes, to schedule a tour, and more, contact Wooddale Builders today.